An allergic reaction to tiny bugs which usually live in house dust is called a dust mite allergy. A runny nose and sneezing are included in the signs of a dust mite allergy. A lot of people will also experience signs of asthma, like difficulty breathing and wheezing. Dust mites are close relatives of spiders and ticks and are too small to be seen without using a microscope. They eat skin cells that you shed and can thrive in humid and warm environments. 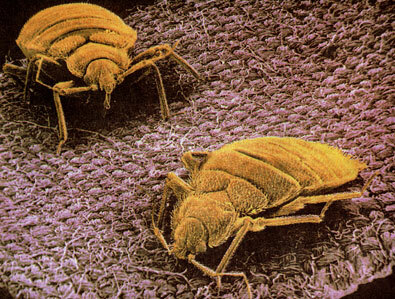 In most homes, upholstered furniture, bedding and carpeting provide an ideal environment for dust mites. Reducing the amount of dust mites in your home can many times control your allergy.Medications and other treatments could be needed to manage or relieve symptoms. These allergies can cause inflammation of your nasal passages and result in various symptoms. They can vary in intensity and could happen each day or less frequently. At any time, however, the asthma symptoms related to this allergy can become severe. The most commonly seen symptoms of a dust mite allergy are related to inflammation of the respiratory system and can include a postnasal drip, cough, itchy nose, roof of mouth or throat, runny nose, sneezing, red, itchy or water eyes, and nasal congestion or stuffy nose. If your allergy contributes to asthma, you might also experience symptoms such as sleep disturbances, difficulty breathing, drowsiness or wheezing. Sometimes, asthma can be life threatening. You need to call 911 and seek immediate medical care if someone you are with or yourself has any of these symptoms which include rapid heart rate, loss of consciousness for even a moment or confusion, chest pressure or pain, rapid breathing or shortness of breath. Allergies happen when you come into foreign substances like pet dander, pollen or dust mites and your immune system reacts to them. There are several protein substances in the excretion of the mites, and when these are touched by your skin or in haled, your body makes antibodies.Some substances protect you from the unwanted invaders which can cause an infection or make you sick. Your immune system will make antibodies when you have allergies which identify your allergen as something that is harmful even if it isn’t. Your immune system responds when you inhale the allergen and makes an inflammatory response in your lungs or nasal passages. Dust mites, unlike pollen, are present the entire year, causing an allergy that is constant, which is called perennial allergic rhinitis. When the excretion of the mites dries out, it can beshoot off into the air when someone sits in chair, walks over a rug, shakes the bed clothes or moves on the mattress, whichcauses you some symptoms immediately if you are allergic. There are a number of things you can do to prevent symptoms of your allergies popping up on a regular basis. These simple measures can make your life much easier. Enclose your pillows and mattress in allergen impermeable or dust-proof covers that you can find in bedding or department stores, or even a specialty supply mail order company. Wash all your blankets and bedding in hot water once a week to kill any dust mites. You can freeze any non-washable bedding overnight to kill the mites. Replace any feathered or wool bedding with synthetic materials and traditional stuffed animals with ones that are washable. If you can, replace any wall-to-wall carpeting throughout the house, especially the bedroom, and take out upholstered furniture and fabric curtains. To dust, use a damp rag or mop. But never use a dry cloth since it will only stir up the allergens. Use an air conditioner or dehumidifier to keep the humidity around fifty percent or lower. Use a vacuum cleaner with a HEWPA filter or a double-layered micro filter bag so that allergens are trapped as they pass through the vacuum’s exhaust. Wear a mask while vacuuming, so you don’t inhale the allergens. Keep out of the vacuumed area for twenty minutes to let any allergens and dust settle. Nasal corticosteroids. Nasal corticosteroids such as Nasonex or Flonase can lessen the inflammation while giving you less side effects than their oral counterparts. Antihistamines. OTC Prescriptions, such as Allegra or Claritin, can help to relieve a runny nose, sneezing and itching by lowering the response of your immune system. Medications. When combined with a decongestant and antihistamine, like Claritin-D or Actifed, these can help treat your dust mite allergy as well. Decongestants. Decongestants such as Afrin or Sudafed can shrink the tissues in your nasal passages, which make it easier for you to breathe. Additional treatments could give you relief and include leukotriene modifiers (Singulair), cromolyn sodium and immunotherapy or allergy shots. Rinsing your nasal passages each day with warm salt water or daily nasal lavage is a good way to clean the allergens out of your sinuses. This can be performed with either a neti pot or a squeeze bottle.